Triple Barrel Shotgun? Yes, Please! Colonel Smoothbore’s lesson this week was on double barrel shotguns, click HERE to read that post, and I just bought my first double-barrel shotgun. I am thrilled with it, but, I recently saw a picture floating around the internet of a triple barrel shotgun, and I was very intrigued. I googled this three-barreled beauty to find out more information, and I discovered that this is not a new concept at all. I even saw one online that was made as far back as 1891. 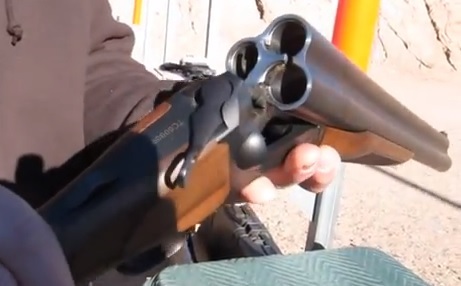 I did manage to find a video of a guy shooting this beast and was surprised at how fast it shoots. It turns out, the shotgun pictured above is called a Chiappa Triple Threat triple barrel shotgun and was featured at the 2013 Shot Show. The gun will retail at $1,629.00 in the United States.